Phoenix Mercury Basketball Game this Friday! 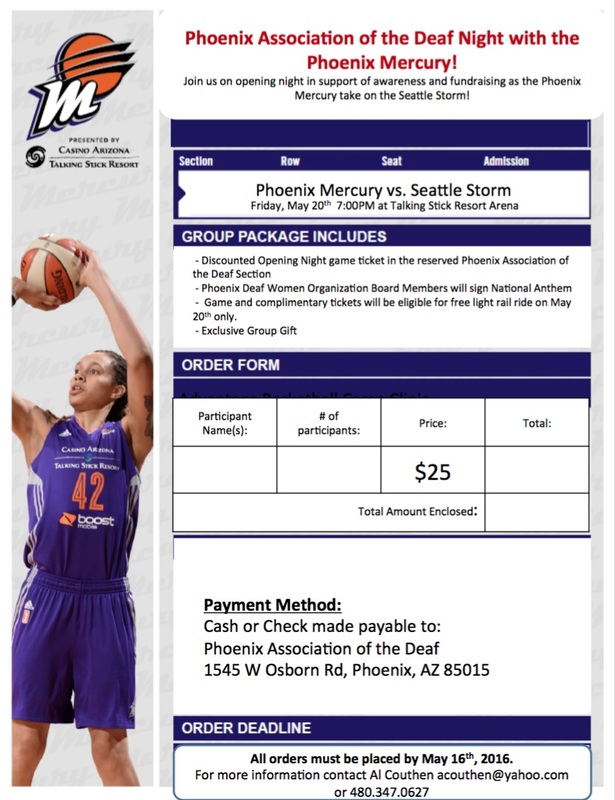 Our own PDWO board has the honor to sign the National Anthem at the beginning of a Phoenix Mercury basketball game at the Talking Stick Arena at 7:00 PM, May 20th! Come and give your support before enjoying the game! See attached information on where to buy your tickets.